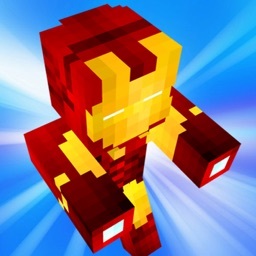 Enjoy all the 1,000,000+ awesome skins with 1 time download! 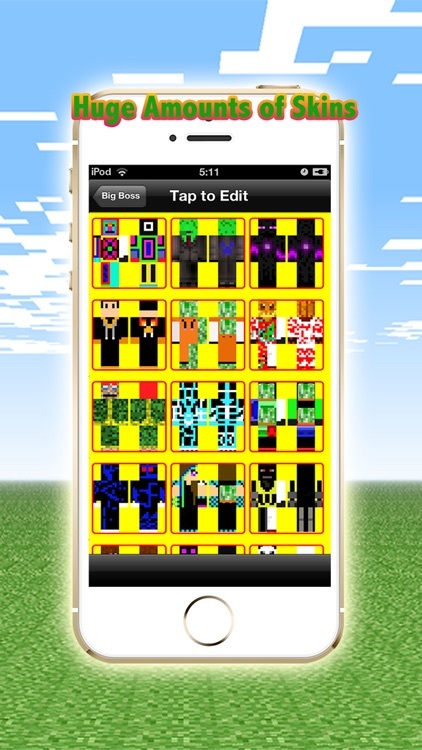 Huge amount of Best Selected skins with Minecraft Skin Creator! Upload the skins to your game directly! NO In App Purchase! 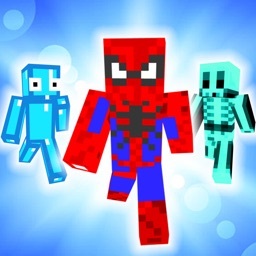 Fully compatible and support Pocket Edition and PC versions of Minecraft! 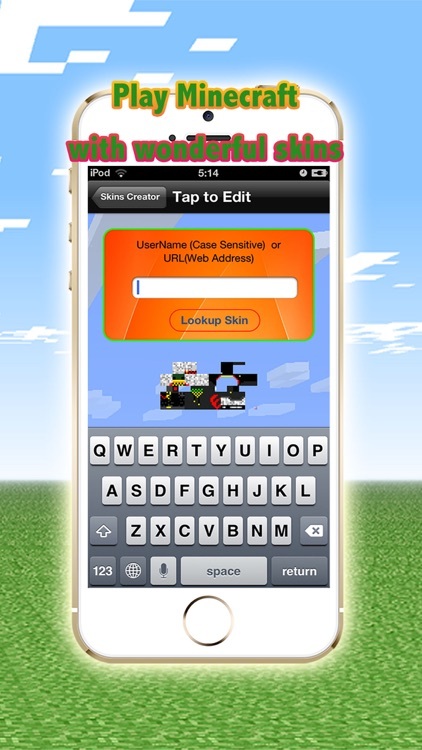 How to use with Minecraft Pocket Edition. 1. 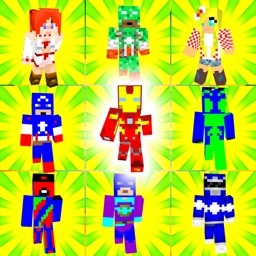 Select & and Edit the Skins. Then select to “Save to Camera Roll". 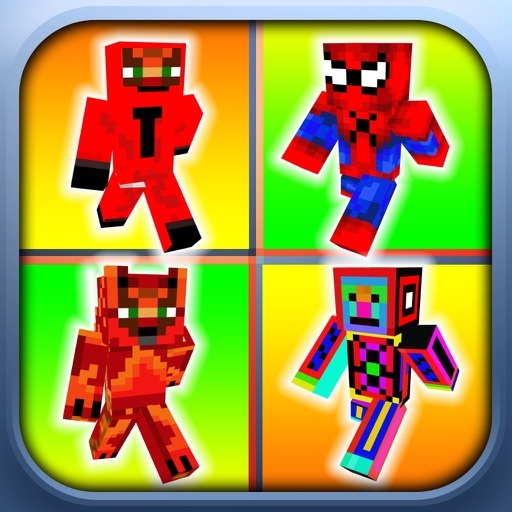 Now your Minecraft skins are on the camera roll now. 2. 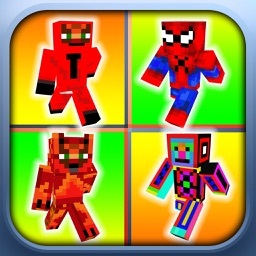 Open Minecraft Pocket Edition. 4. Tap on options button on the bottom right. 5. Tap on the skins button on the left. second from the top. 6. 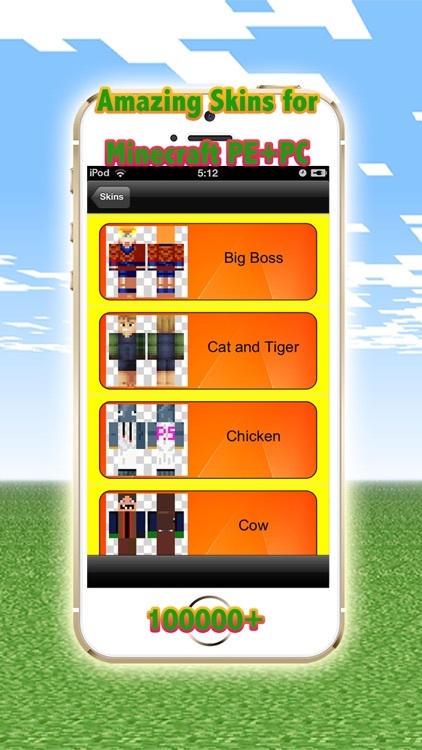 Tap on "Custom" and choose the skin from camea roll. 7. Please note that you need to update Minecraft Pocket Edition to the version 0.11 or higher. 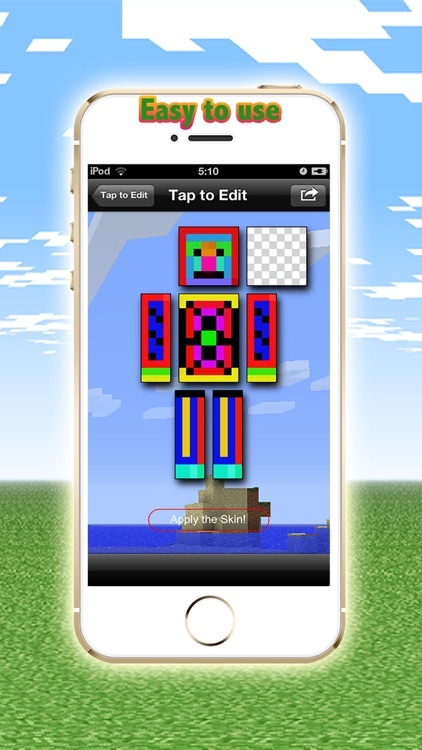 This Skin Creator could create, modify, apply or share the most cool and popular skins ! More than 1,000,000 of Best Skins template to choose! * Load a skin from a URL to modify. * Quick share your skin. * Easy manager your favorite skins. * Thousands of best selected Skin template to use. 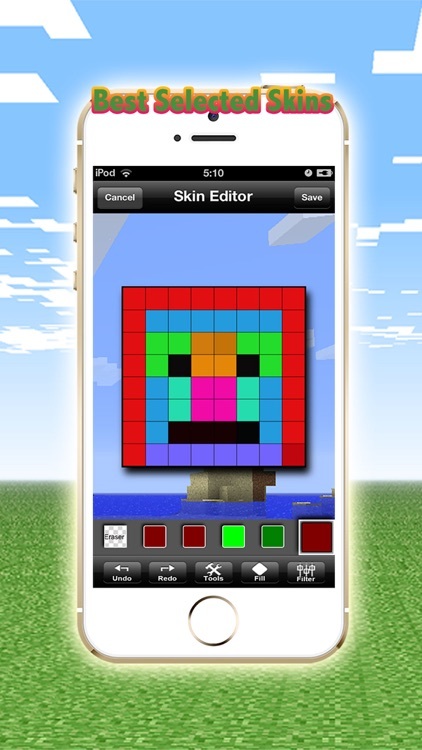 * Full featured and most powerful skin editor. * Undo and ReDo to modify your changes. * A lot of image filter to apply to your skins. * Recent used colors are saved for easy access. * Upload the skins directly to your game. Live New Skins - Hundreds of new Skins added everyday for Free! 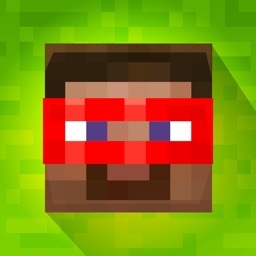 Minecraft is a trademark of Mojang AB. 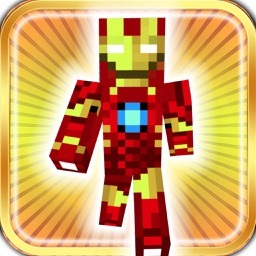 This app is not an official Minecraft product, not approved by or associated with Mojang.